It's here! You may now browse and purchase many of our instruments online at A Plus Violin! 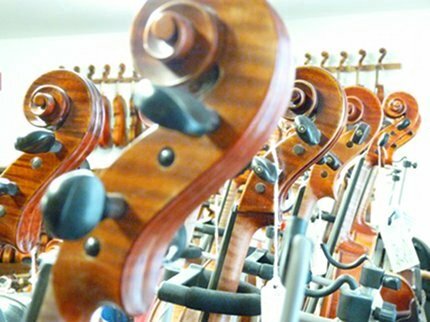 With over 1000 instruments on site, Master Hand Violin Shop has the largest inventories in central Virginia We carry new and used instruments, as well as antique collectors items through modern instruments. Every instrument we carry has been checked and tonally adjusted before being put on the floor for sale. 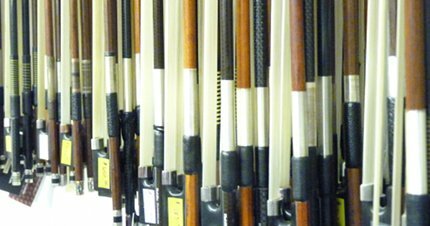 Beginner level complete sets (instrument, case, bow) for ~$200-$300. We have begun A Plus Violin, the online arm of Master Hand Violin Shop. Many of our instruments are listed for purchase online. These instruments will still be available in the shop and can be purchased from either source. Additionally, we will have weekly specials that are only available through A Plus Violin.